Modification of packaging polymers by different methods and the influence on the transport properties and the dielectric constant. The report for 2005–2009 period. N.G. Ryvkina — PhD (Physics), dielectric constant, ICP RAS. Macromolecular Chemistry I and Bayreuth Institute for Macromolecular Research, University of Bayreuth, D-9554, Bayreuth, Germany. S.A. Pavlova, G.I. Timofeeva, I.A. 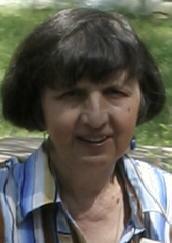 Ronova, L.A. Pancratova, Unperturbed Dimensions of Cyclochain Polymers, J. Polym. Sci. Polym. Phys. Ed., 1980, V.18, N1, P.1–18. S.A. Pavlova, G.I. Timofeeva, I.A. Ronova, Dependence of the Conformational parameters of Polyimides on the Chemical Structure of chain Polymers, J. Polym. Sci. Polym. Phys. Ed., 1980, V.18, N12, P.1175–1186. S.S.A.Pavlova, I.A. Ronova, Mathematical model of two-phase synthesis, Polymer Sciense Ser. A, 31(3), 1989. S.S.A. Pavlova, I.A. Ronova, G.I. Timofeeva, L.V. Dubrovina, On flexibility of ciclochain Polymers, J. Polym. Sci. Polym. Phys. Ed., 1993, v. 31, p. 725–1757. I.A. Ronova, I.A. Nyrkova, S.S.A. Pavlova, A.R. Khokhlov, Factors determining the elastic modulus of polyamide networks, Polymer Sciense Ser. A, 36(6), 779–783, 1994. I.A. Ronova, I.I. Ponomarev, The conformational rigidity of aromatic cyclochain copolymers, Polymer Sciense Ser. A, 37(5), 515–522, 1995. L.N. Nikitin, I.A. Khotina, E.E. Said-Galiev, A.L. Rusanov, I.A. Ronova, A.M. Andrievskii, The effect of bromine on flammability of polyimides under IR laser irradiation, Polymer Sciense Ser. A, 37(4), 479–483, 1995. I.A. Ronova, The factors that control chain rigidity of aromatic cyclochain polymers, Polymer Sciense Ser. A, 37(11–12), 540–543, 1995. C. Hamchuk, E. Hamchuc, I.A. Ronova, M. Bruma, Influence of the conformational parameters on physical properties of some polyamides containing phenylquinoxaline rings, High Perform. Polym., 1997, v.9, p.177–188. I.A. Ronova, I.I. Ponomarev, O.V. Shishkin, The conformational behavior of rodlike polynaphthoylenimides, Polymer Sciense Ser. A, 39(10), 1122–1125, 1997. A.Yu. Kovalevsky, O.V. Shishkin, I.A. Ronova, I.I. Ponomarev, S.V. Lindeman, Yu.A. Volkova, Molecular structure and conformational dynamics of 3,12-dichloro-5,14-diphenyl-7,9a,16,18a-tetrazadibenzo[a,l]pentacene-9,18-dione, Russian Chemical Bulletin, 46(11), 1997. I.A. Ronova, L.V. Dubrovina, A.Yu. Kovalevskii, C. Hamciuc, M. Bruma, The effect of side substituents on rotation hinderance in polyheteroarylenes, Russian Chemical Bulletin, 47(7), 1248–1256, 1998. C. Hamchuk, I.A. Ronova, E. Hamchuc, M. Bruma, The effect of rotation hinderance on physical properties of some heterocyclic polyamides containing pendent imide groups, Angew. Makromol. Chem., 1998, v.254, p.67–74. I.A. Ronova, S.S.A. Pavlova, The Effect of the Conformational Rigidity on Several Physical Properties of Polymers, High Perform. Polym., 1998, 10, p.309–329. Inga A. Ronova, Igor I. Ponomarev, Andrey Yu. Kovalevsky, and Oleg V. Shishkin, Molecular disign of rigid-chain polyheteroarylenes and the effect of substitutions at the central heterocyclic fragment on the polyheteroarylene equilibrium rigidity, High Perform. Polym, 11, 355–365, 1999. S.A. Siling, S.V. Shamshin, I.A. Ronova, A.I. Kovalevskii, A.V. Grachov, O.Ju. Ciganova, V.I. Jughakov, Synthesis and Photophysycal Properties of Azomethynes Bifluorofores, Oxidation Communication, 1999, 22, No4, p.495. A.V. Kaznacheev, A.Yu. Kovalevskii, I.A. Ronova, A.S. Sonin, On the orientational elasticity of the lyotropic nematic phase of vanadium pentoxide-water system, Colloid Journal, 62(5), 541–544, 2000. I.A. Ronova, A.Yu. Kovalevskii, O.V. Shishkin, The influence of substituents in the quinine dihidrocycle of anthroneylidene molecules on the polymer chain rigidity, Chemical Bulletin, 49(5), 794–798, 2000. C. Hamciuc, M. Bruma, M. Szesztay and I. Ronova, Compared properties of fluorinated heterocyclic copolyimides, J. Macromol. Sci., A-Pure Appl. Chem., A 37 (11), 1407–1435 (2000). Maria Bruma, Corneliu Hamciuc, Elena Hamciuc, I.A. Ronova and Burkhard Schulz, Poly(1,3,4 oxadiazole)s with pendent phenoxy groups, Rev. Roumaine Chim., 45 (7–8), 677–688 (2000); Chem. Abst., 135 (10). S.A. Siling, S.H. Shamshin, I.A. Ronova, A.Yu. Kovalevskii, A.V. Grachev, O.Yu. Tsiganova, V.I. Yuzhakov, Synthesis and Photophysical Properties of Azomethines-Bifluorophores, Intern. J. Polymeric. Mater, 2000, Vol.46, 775–791. S.A. Siling, S.H. Shamshin, I.A. Ronova, A.Yu. Kovalevskii, A.V. Grachev, O.Yu. Tsiganova, V.I. Yuzhakov, Poly(Shiff's Bases)-Bifluorofores: Syntesis, Photophysical Properties, Nonradiational Transfer of Energy of Electronic Exitation, J. Appl. Polym. Sci., 2001, v.80, p.398–406. A.Yu. Kovalevskii, I.A. Ronova, O.Yu. Gosteva, A.B. Grachev, S.A. Siling, V.I. Yughakov, The influence of the conformational isomerization on intramolecular transfer of the energy of excitation, Chemical Physics, 20(3), 8–15, 2001 (Russian). Inga A. Ronova, Andrey Yu. Kovalevsky, Svetlana A. Siling, Sergey V. Shamshin, Alexander V. Grachev, Oxsana Yu. Tsyganova, Biefluorofores: molecular design and exitation energy transfer mechanism, Chemical Physic, 2001, v.270, p.99–107. M.L. Keshtov, A.L. Rusanov, I.A. Ronova et al., New Fluorinated poly(phenylquinoxalines), Polymer Sciense Ser. B, 43(9), 2001. I.A. Ronova, A.N. Vasilyuk, C. Gaina, V. Gaina, The effect of the conformational Rigidity on the initial decomposition temperature of some heterocyclic poliimides, High Performance Polymers, 2002, 14, 195–208. I.A. Ronova, L.B. Elshina, A.N. Vasikyuk, A.L. Rusanov, E.G. Bulycheva, Effect of conformational rigidity on the glass transition and initial decomposition temperatures of polyimides, Russian Chemical Bulletin, 2002, v.51, No.5 pp.820–824. M.L. Keshtov, A.L. Rusanov, L.I. Komarova, S.V. Keshtova, G.B. Sarkisyan, I.A. Ronova, New Carboxylated poly(arylesterquinoxalines), Polymer Sciense Ser. A, 44(8), 540–543, 2002. A.G. Balabanyan, M.A. Maso, I.A. Ronova, The investigation of an aqueous solution of polyethylene oxide by molecular dynamics, Journal of “Chemistry and Computational Simulation. Butlerov Communications” №8, p.1–11, 2002 (Russian). E.M. Rozhkov, B.V. Schukin, I.A. Ronova, Methods for calculations of occupied volumes in glassy polymers. The lattice integration and the Monte Carlo methods, Central European Journal of Chemistry (Central European Science Journals), v.1, N 4, 402–426, 2003. Mariana Dana Iosip, Maria Bruma, Inga Ronova, Marta Szesztay and Peter Muller, Compared properties of related aromatic poly(1,3,4-oxadiazole-amide)s, Eur. Polym. J., 39 (10), 2011–2021 (2003). C. Hamciuc, E. Hamciuc, M. Bruma, I.A. Ronova, Compared properties of heterocyclic polyethers and polyether-ketones, Rev. Roum. Chim., 48 (2), 153–161 (2003). I.A. Ronova, E.M. Rozhkov, A.Yu. Alentiev, Yu.P. Yampolskii, Occupied and accessible volumes in glassy polymers and their relation with gas permeation parameters, Macromol. Theory and Simulations, 2003, №12,6,425. M. Bruma, E. Hamciuc, I. Sava, Yu.P. Yampolskii, A.Yu. Alentiev, I.A. Ronova, E.M. Rozhkov, Synthesis and properties of new polyetheroimides as membrane materials, Chem. Bull. Politehnica@ Univ. (Timisoara), 48(62) 1–2, 110–115, 2003. Ion Sava, Maria Bruma, Inga Ronova, Сonformational parameters and the some physical properties of polyamides containing pendant acetoxybenzamide groups, Mol. Cryst. Liq. Cryst., 416, 457–463, 2004. M. Bruma, E. Hamciuc, Yu.P. Yampolskii, A.Yu. Alentiev, I.A. Ronova, E.M. Rojkov, Polyetherimides for gas separation membranes, Mol. Cryst. Liq. Cryst., 418, 739–747, 2004. Ion Sava, Maria Bruma, Inga Ronova, The influence of conformational parameters on some physical properties of polyamides containing pendant acetoxybenzamide groups, High Perform. Polym., 16, 435–446, 2004. Siling S.A., Shamshin S.V., Ronova I.A., et al, Poly(schiff's bases)-bifluorophores: Synthesis, photophysical properties, non-radiational transfer of energy of electronic excitation, Oxidation communication, 27 (4): 777–787, 2004. I. Sava, M. Bruma, I.A. Ronova, Conformational parameters and some physical properties of polyamides containing pendant acetoxybenzamide groups, Mol. Cryst. Liq. Cryst., 416, 457–463, 2004. C. Hamciuc, E. Hamciuc, M. Bruma, I.A. Ronova, Effect of conformation rigidity on physical properties of some poly(imide-amide)s containing dimethylsilane units, J. Macromol. Sci., Part A, 42, 61–69 2005. Inessa Blagodatskikh, Artur Sakunts, Vera Shaposhnikova, Sergey Salazkin, Inga Ronova, Macrocyclic oligomers of an aromatic polyetherketone based on bisphenol A and difluorobenzophenone, e-Polymers, 2005, no. 058. A.G. Balabanyan, E.Yu. Kramarenko, I.A. Ronova, A.R. Khokhlov, Monte Carlo Study of Structure and Kinetics of Formation of End-linked Polymer Networks, Polymer, 2005, vol. 46, p. 4248–4257. C. Hamchiuc, E. Hamchiuc, I. Ronova, Influence of the conformational parameters on physical properties of some aromatic poly(1,3,4-oxadiasole-ether)s, Bulletin of the Polytechnic Institute of Iasi, V.51 (1–2), 2006, p.67–75. C. Hamciuc, E. Hamciuc, M. Bruma, I.A. Ronova, Influence of the conformational parameters on physical properties of some heterocyclic polymers containing dimethylsilane units, High Performance Polymers, V.18 (1), 45–55, 2006. I. Sava, I. Ronova, М. Bruma, Synthesis of Poly(1,3,4-oxadiazole-amide-ester)s and Study of the Influence of conformational parameters on their physical properties, Polymer Journal (Japan), V.38(9), P.940–948, 2006. A.Yu. Alentiev, I.A. Ronova, B.V. Shchukin, Yu.P. Yampolskii, Correlation between the transport behavior of polyimides and the conformational rigidity of their chains, Polymer Sciense Ser. A, 49(2), 2007. I.A. Ronova, A.R. Khokhlov, B.V. Shchukin, Transport parameters of glssy polymers: effect of occupied and accessible volumes, Polymer Sciense Ser. A, 49(5), 517–531, 2007. M.N. Vidyakin, Yu.N. Lazareva, Yu.P. Yampolskii, A.Yu. Alentiev, I.A. Ronova, M. Bruma, E. Hamciuc, R. Lungu, Transport properties of polyimides containing phenylquinoxaline moieties, Polymer Sciense Ser. A, 49(9), 1045–1052, 2007. M.N. Vidyakin, Yu.N. Lazareva, Yu.P. Yampolskii, A.Yu. Alentiev, M. Bruma, E. Hamchiuk, R. Lungu, Transport properties containing phenylquinoxaline moieties, Polymer Sciense Ser. A, 49(9), 2007. I. Ronova, E.A. Sokolova, M.Bruma, Influence of chemical structure of the repeating unit on physical properties of aromatic polymers containing phenylquinoxaline rings, J. Polym. Sci., Part B, Polym. Phys., Vol. 46, 1868–1877, 2008. I.A. Ronova, B.V. Thchukin, E.A. Sokolova, The specific interaction in the polymer matrix by diffusion of gases polyheteroarylenes, In Proceedings of the XIV International Conference on High Technologies in Russian Industry, Central Research Technological Institute Technomash, Moscow, Russia, 277–282, 2008 (Russian). I.A. Ronova, L.N. Nikitin, O.V. Sinitsyna, I.V. Yaminskii, The exposed of supercritical carbon dioxide for polymers — an effective method of increasing the free volume, Physics and Chemistry of processing of materials, 2008, №4 p.54–59, (Russian). A.I. Fomenkov, I.I. Blagodatskikh, D.Yu. Rasorenov, G.I. Timofeeva, I.A. Ronova, I.I. Ponomarev, A.R. Khokhlov, Molecular-mass characteristics of solutions of some Polybenzimidazol, Polymer Sciense Ser. B, 50(12), 345–350, 2008. E. Hamchiuk, C. Hulubei, M. Bruma, I. Ronova, E. Sokolova, Influence of conformational parameters on physical properties of some poly(imide-ether-amide)s based on epiclon, Revue Roumaine de Chimie, Vol 53, no. 9, page 737–742, 2008. I.A. Ronova, L.N. Nikitin, E.A. Sokolova, I. Bacosca, I. Sava and M. Bruma, Swelling of Polyheteroarylenes in Supercritical Carbon Dioxide, Journal of Macromolecular Science R, Part A: Pure and Applied Chemistry, (2009) 46, 929–936. I.A. Ronova, M. Bruma, I. Sava, L.N. Nikitin, E.A. Sokolova, Modification of polygeteroarylenes in supercritical carbon dioxid, H. Performance Polymer, 21 (5), 562–578, 2009. Yu.N. Lazareva, M.N. Vidyakin, A.Yu. Alentiev, M.Yu. Jablokova, A.A. Kuznetsov, I.A. Ronova, Yu.P. Yampolskii, Transport properties of polyimides based on dianhydride of benzafenontetrakarbonic acid and various diamines fragments, Polymer Sciense Ser. A, 51(10), 2009. I.A. Ronova, E.A. Sokolova, O.V. Sinitsyna, M. Bruma, E. Hamciuc, Change of the surface of the polymer film under the action SC CO2, Physics and Chemistry of processing of materials, 2010, №2 p.40–45 (Russian). I. Ronova, Structural aspects in polymers. Interconnections between conformational parameters of the polymers with their physical properties, Struct. Chem., 2010, 21:541–553. I. Bacosca, E. Hamchiuc, M. Bruma, I.A. Ronova, Study of Aromatic Polyimides Containing Cyano Groups, H. Performance Polymer, 22(6), 703–714, 2010. I.A. Ronova, M. Bruma, Influence of chemical structure on glass transition temperature of polyimides, Struct. Chem., 2010, 21:1013–1020. M. Damaceanu, M. Bruma, I. Sava, E. Hamciuc and I.A. Ronova, Membrane materials based on Poly(ether-imide)s, Collected Articles “Trends in Membranology”, Ed. S.I.Voicu and G.Nechifor, Printech, 2010, p.54–59. Inga A. Ronova, Lev N. Nikitin, G.F.Tereschenko, Maria Bruma, Supercritical Carbon Dioxide Swelling of Polyheteroarylenes Synthesized in N-Methylpyrrolidone, in the book “Chemical Reactions in Gas, Liquid and Solid Phases: Synthesis, Properties and Application”, Editors: G.E. Zaikov (Institute of Biomedical Physics, Moscow, Russia), R.M. Kozlowski (ESCORENA Program, Poznan, Poland), p. 45–64, 2010. Inga A. Ronova, Alexei R. Khokhlov, Alexander Yu. Alentiev, Maria Bruma, Correlation between Conformational Rigidity and Membrane Properties of Polyheteroarylenes, in the book “New Steps in Chemical and Biochemical Physics. Pure and Applied Science”, Editors: Eli M. Pearce and Gerald Kirshenbaum (Polytechnic Institute of NYU, Brooklyn, NY), G.E. Zaikov (Russian Academy of Sciences, Moscow, Russia), pp.161–202, 2010. Radu-Dan Rusu, Mariana-Dana Damaceanu, Maria Bruma, and Inga A Ronova, Effect of Conformational Parameters on Thermal Properties of Some Poly(oxadiazole-naphthylimide)s, Iranian Polymer Journal, 20 (1), 2011, 29–40. Inga Ronova, Lev Nikitin, Gennadii Tereschenko and Maria Bruma, Supercritical carbon dioxid swelling of polyheteroarylenes synthesized in N-methylpyrrolidone, Chemistry & Chemical Technology, Vol. 5, No. 1, 2011, 25–36. S. Chisca, I.A. Ronova, I. Sava, V. Medvedeva, M. Bruma, Influence of conformational parameters on physical properties of polyimides containing methylene bridges, Materiale Plastice, 48(1), 38–44, 2011. I.A. Ronova, M. Bruma, Influence of conformational rigidity on membrane properties of polyimides, Struct. Chem., (2012) 23:47–54. Inga A.Ronova, Maria Bruma, H.-W.Schmidt, Conformational rigidity and dielectric properties of polyimides, Struct. Chem., (2012) 23:219–226. Inga Ronova, On the Flexibility of Polyheteroarylenes and the Effect on Several Physical Properties of these Polymers, Chapter in Book “Polymer Chains: Structure, Physical Properties and Industrial Uses”, publisher Nova, 2012, стр 1–98. Ion Sava, Inga A. Ronova, Maria Bruma, Influence of conformational parameters on physical properties of polyimides containing azobenzene side units, J. Macromol. Sci., Part B, Physics, 51:10, 1991–2002. I.A. Ronova, O.V. Sinitsyna, S.S. Abramchuk, A.Yu. Nikolaev, S. Chisca, I. Sava, M. Bruma, Study of porous structure of polyimide films resulting by using various methods, The Journal of Supercritical Fluids, 2012, 70, 146–155. INTAS 2003-2005, Transport processes in amorphous glassy polymers and their effect on gas transport: theoretical, experimental and simulation studies. Polymer bifluorofory: molecular design, photoelectric properties, process management of energy conversion, 1997–1999. Inorganic lyotropic liquid crystals, 1998–2000. Polyorganosiloxanes controlled structure and composition: synthesis, structure, properties, and implementation of the idea of conformationally dependent design of polymers, 2000–2002. Theoretical modeling and calculation of the energy of the phase transition gas hydrate-ice, 2005–2007. Construction of the theory and modeling of the structural mechanism of phase transformation of gas hydrate into ice, 2009–2011. Creation of computer system for molecular design of polymers, 2004. CMSB-8, The dynamics of formation and study of the structure of clathrate hydrates, 2004. CMSB-4, Creation of and study of macromolecules and macromolecular structures of the new generations. Phenomena at the nanoscale level in the functional macromolecular systems, 2006–2007. CMSB-7, Theoretical and experimental study of the phase transition gas hydrate — ice, 2006–2008. CMSB-7, The dynamics of formation and study of the structure of clathrate hydrates, 2003–2005. CMSB-6, Construction of the theory and modeling of phase transition “gas hydrate-ice”, 2009–2011. 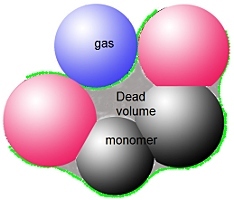 PRAS-8, Modeling of processes of the input and output of the guest molecules in gas hydrates, carried out by theoretical and experimental methods, 2006. PRAS-“Support for innovation”, Modeling of processes of the the input and output of the guest molecules in gas hydrates, carried out by theoretical and experimental methods, 2007–2008. PRAS “Creation and improvement of methods of chemical analysis and study of the structure of substances and materials”, Improvement of the instrument base of microscopy to study nanometer scale objects, 2009. PRAS-18 “Polyfunctional materials for molecular electronics”, The creation of new polymer materials based on polyheteroarylenes with low dielectric by modification of supercritical carbon dioxide, 2009–2011.